Neither one of my girls has been into dolls or barbies, but once we heard about the Zeenie Dolls, things may have changed a bit. I was really excited to hear about these new dolls that finally stood for something instead of just being all about looks for the girls. 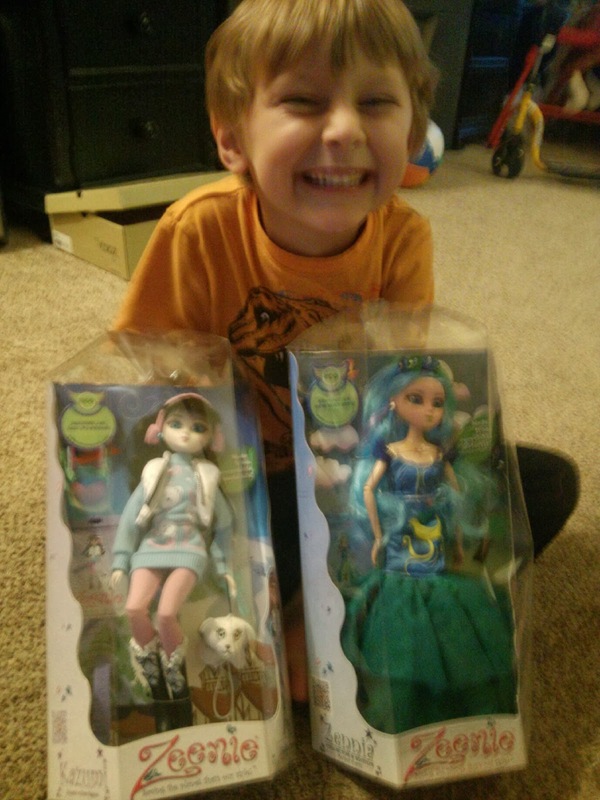 Even Randi was thrilled to have a doll she could give her boys without fear of it being too girlie or superficial. Both of our households are big eco-friendly homes and having these dolls that show different ways to be Eco friendly is right up our alley. Together as a family we garden, compost, recycle many different things and try to find different ways to help save our planet. Zeenie Dolls are the protectors of the Earth and each doll also highlights an environmental cause that needs attention. They kinda resemble the Bratz dolls but are much cuter in my opinion and stand for something much more beautiful. I like them because they promote healthy and environmentally friendly ideas and are getting kids more involved with wanting to do their part in helping save the environment. Each Zeenie Doll "possesses a unique eco-power that protects the environment." Plus each of the dolls are "made entirely of recyclable materials and non-toxic plastics" thus setting the example in themselves. 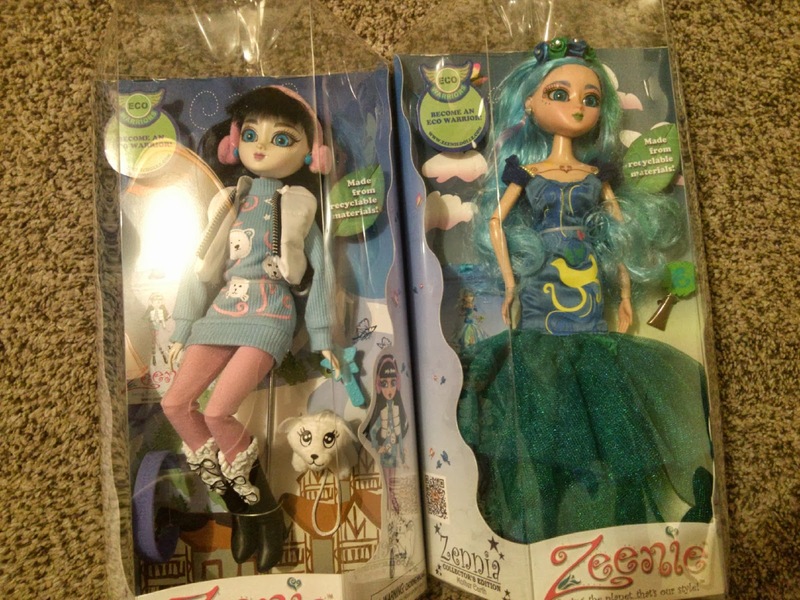 We received Zennia, the special edition doll in the series, which is supposed to represent Mother Earth. She is just plain stunning to look at. We also received eco-warroior, Kazumi, Protector of the Polar Regions and Defender against Global Warming. Her eyes are absolutely hypnotizing! I think that it would be super cool to have the entire set as I used to collect the Madame Alexander Dolls and giving my kids dolls that they can relate to as well as collect is important to me. I don't like the other popular dolls like the Bratz or Monster High dolls and I think these are a much better alternative to them. Giving the children a purpose for their doll, learning at the time as playing, and saving the planet. Recommendation: I think these are cute and love that they are Eco Warrior female characters. They are dressed a little punkish with crazy hair, which I love each dressed to their own region. I am glad that my kids really do like these dolls and hope they play with them for a few years. I'm with you....I don't like a lot of the dolls they have out these days, but these look really cute.